The hexagonal shape of the bezel on this ring was made to fit a large polished sapphire. Gemstones were highly valued in the medieval world, sapphires, rubies, garnets, amethysts and rock crystal being the most commonly used. Diamonds were highly valued but much less common. They were prized, as now, for their colour and lustre but also for their perceived amuletic or talismanic powers. Books known as 'lapidaries' listed the powers attributed to each stone. 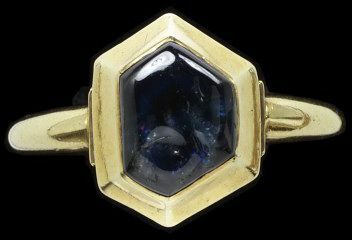 The Liber Lapidum of Marbodus of Rennes (1067-81) was one of the most widely read and claimed that sapphires could protect the body, cool fevers and headaches, calm the eyes and cure stammers. This ring was formerly part of the collection of Dame Joan Evans (1893-1977), art historian and collector. Early on she collected gems and jewels which resulted in the 1921 book, English Jewellery from the 5th Century BC to 1800. She published widely on jewellery, French medieval art and architecture. Evans was elected the first woman president of the Society of Antiquaries in 1959 (through 1964). She was a trustee of the British Museum (1963-67). In her personal life, she donated time and money to many charitable historic causes, nearly all of them anonymously. Her will left collections to the Ashmolean Museum, Oxford, and the Birmingham City Art Gallery. 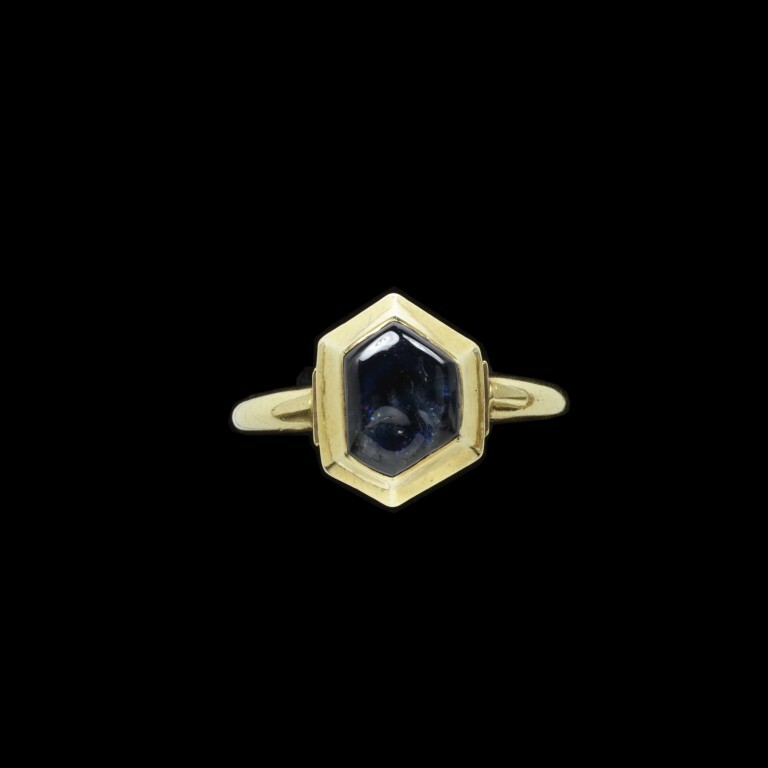 Gold ring, the hexagonal bezel is set with an uncut sapphire. Acquired by Sir John Evans(?) in Pressburg, 1886. 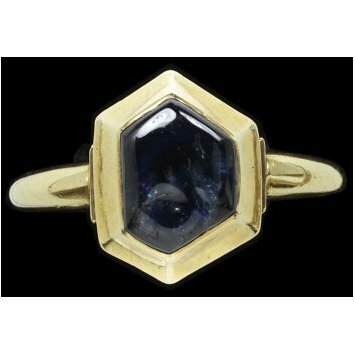 Gold ring, the hexagonal bezel is set with a cabochon sapphire, Western Europe, 1300-1400.